This machine is in immaculate conditon. Roughly 18 months old.  Our customer no longer has need for a machine of this size; it in brilliant running order. 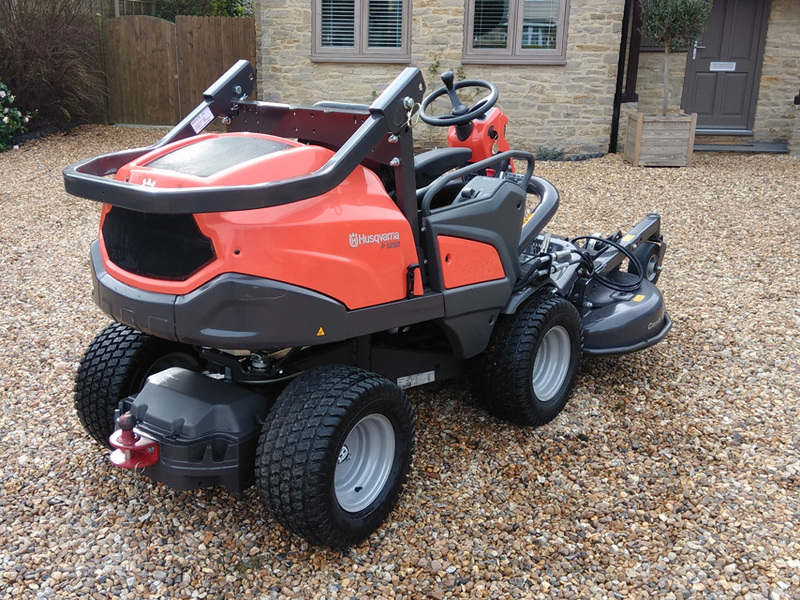 The most powerful and versatile commercial ride on mower in the Husqvarna range. 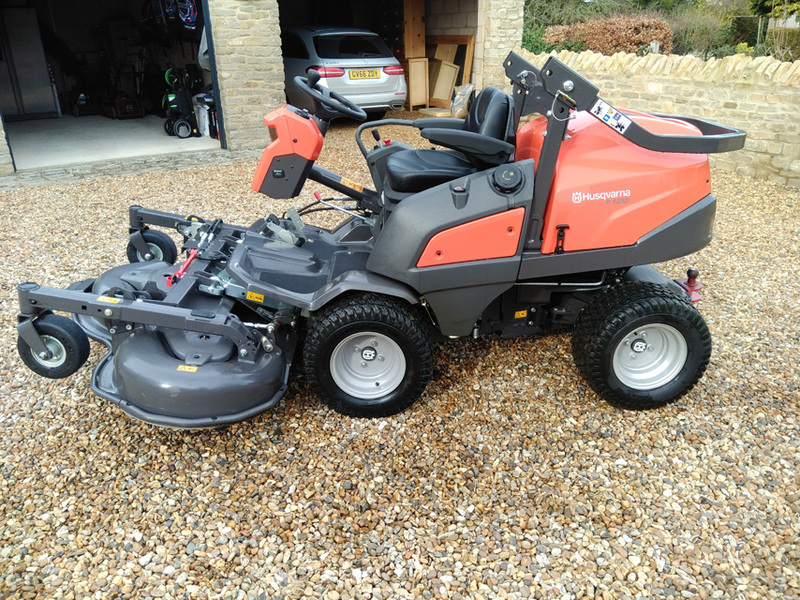 Suitable for all year round use, a wide range of attachments are available for this front mounted mower enabling it clear leaves, snow or extra long grass making it an extremely versatile machine for any professional ground care companies fleet. 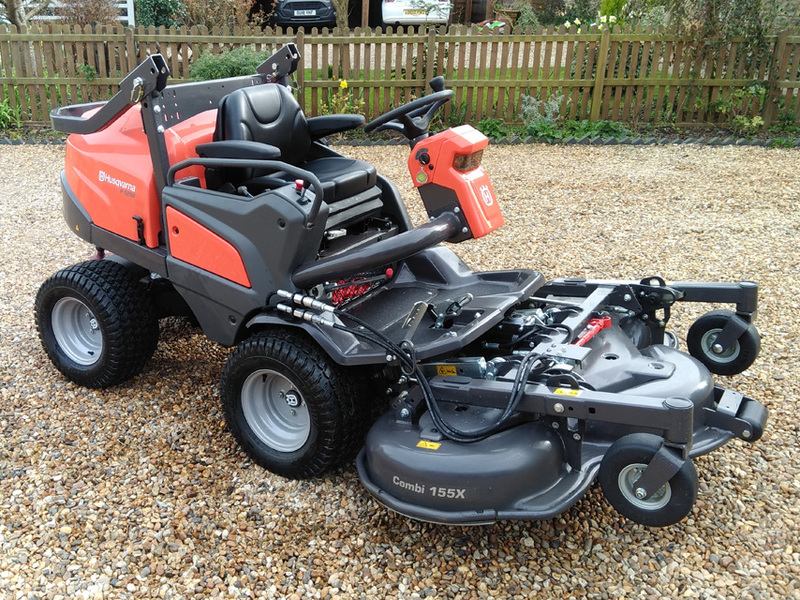 Highly manoeuvrable and easy to use, the P525D’s All Wheel Drive system enables it to tackle slopes with ease. Because all four or its wheels rotate individually, it increases the traction and stability of the rider on slopes with minimum turf damage. 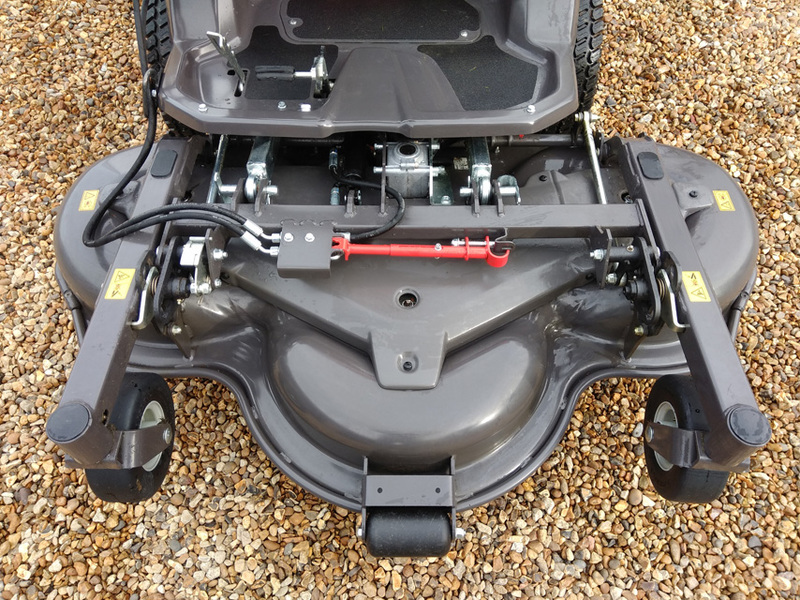 Fitted with a hydraulic lift to assist the operator in finding the service position with ease, the operator can perform routine maintenance and cleaning, and can change the front decked mower attachments without the use of tools.